1. 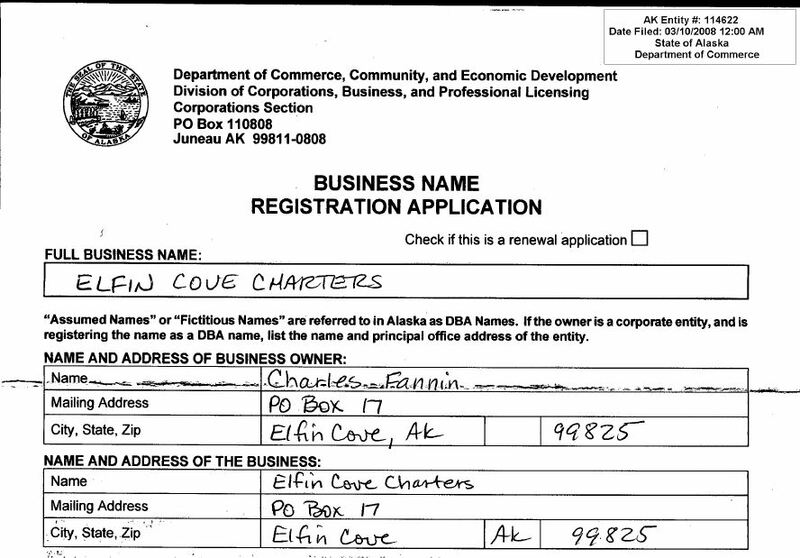 4/13/2007, Charles Fannin becomes 49% owner of The Cove Lodge, Incorporated. 2. 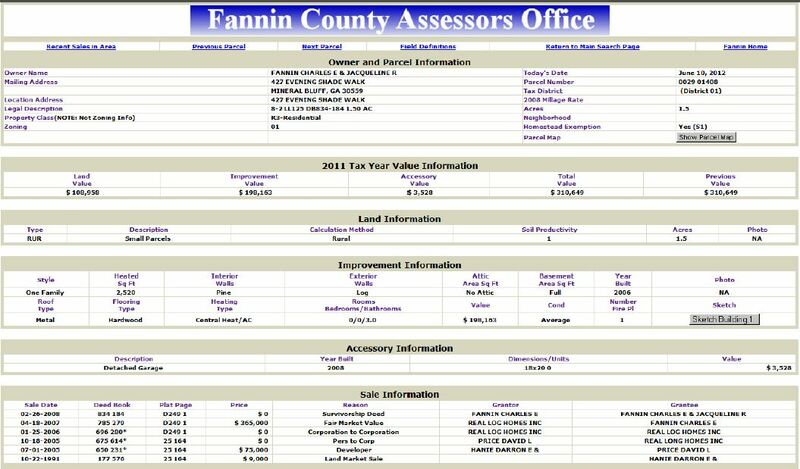 4/18/2007- five days later Fannin buys a house in Georgia and claims a homestead exemption. 3. 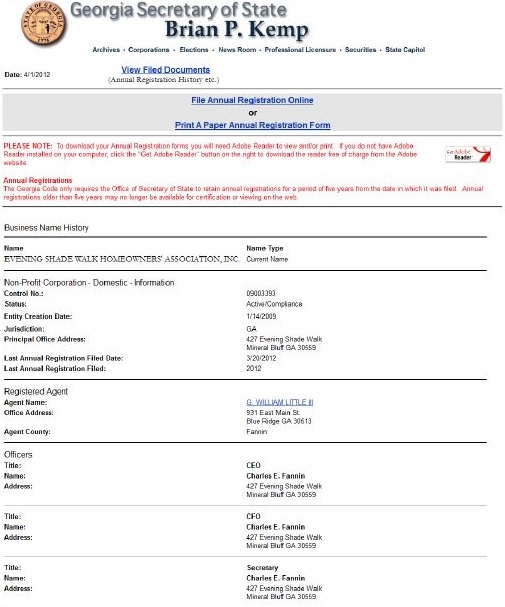 Not quite a year later, on 3/5/2008, Fannin becomes an Alaska registered voter with the address of P.O. Box 17, Elfin Cove, AK 99825. 4. 3/10/2008- P.O. Box 17, Elfin Cove, AK used as the address for a business and a business owner. 5. A year later Fannin used P.O. 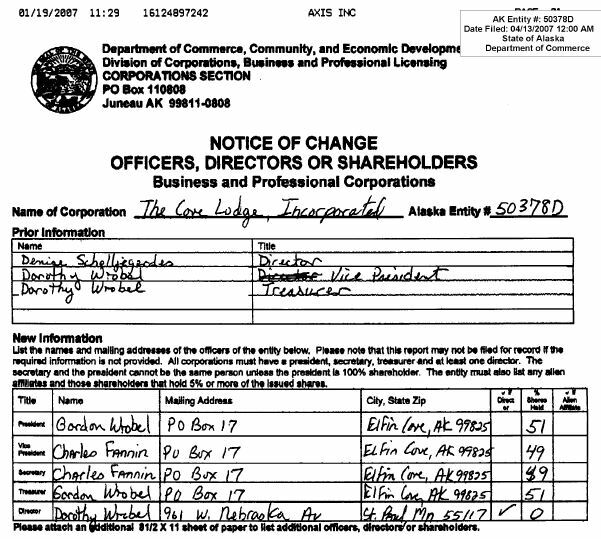 Box 17, Elfin Cove, Alaska as debtor for financing from AK Dept. 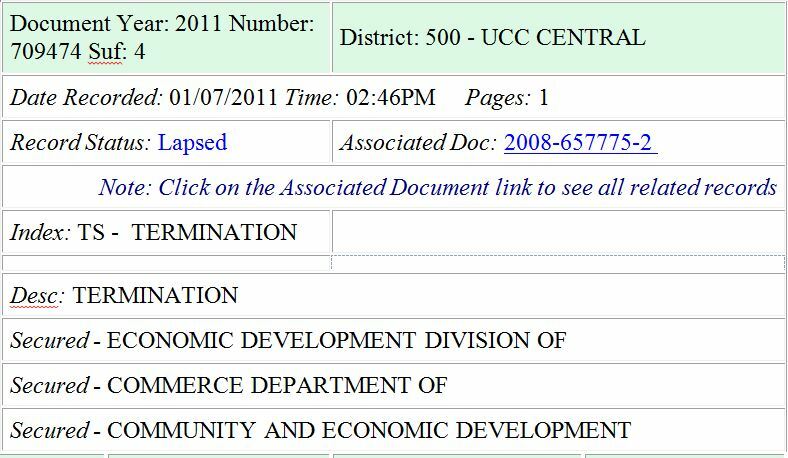 of Commerce. 6. 1/14/2009- Fannin starts a Georgia nonprofit homeowner's association with 427 Evening Shade Walk, Mineral Bluff, Georgia as its office. 7. 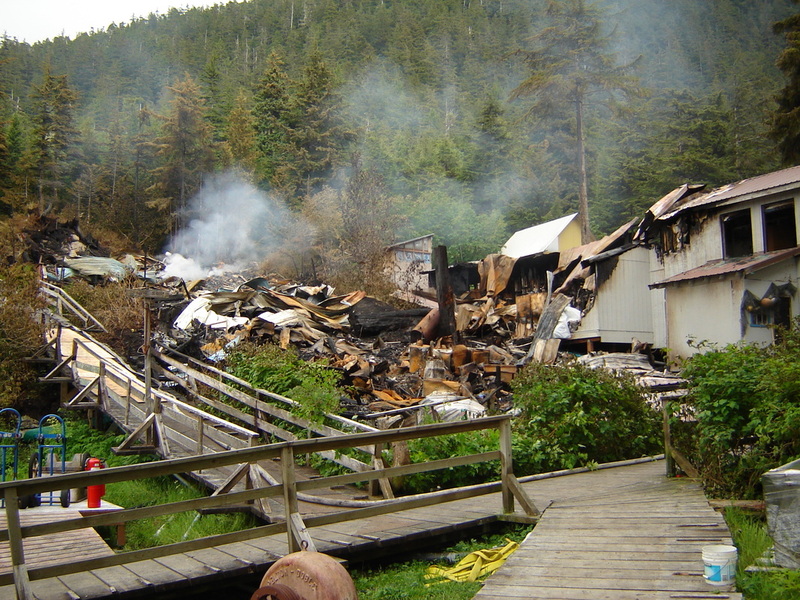 6/19/2010- The Cove Lodge burned to the ground. 8. 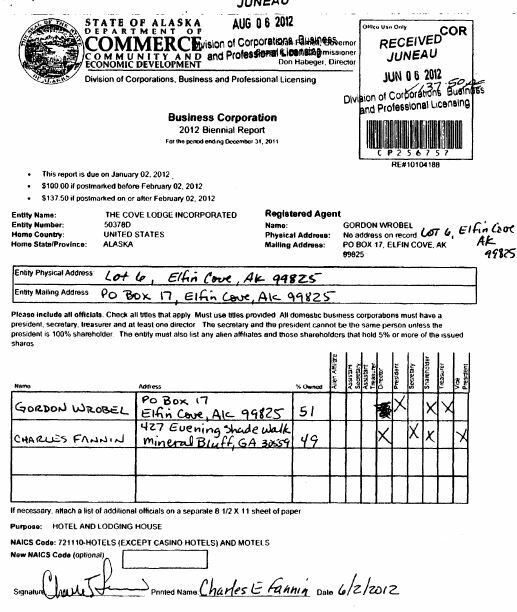 8/6/2012- Fannin filed the 2012 Biennial Report for The Cove Lodge, Incorporated which now lists his address in Mineral Bluff, Georgia. 9. 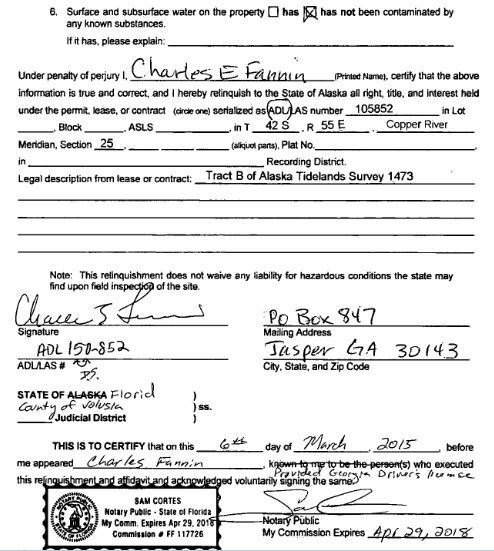 3/6/2015- Fannin notarizes a AK DNR affidavit using a Jasper, Georgia address and a Georgia driver's license.